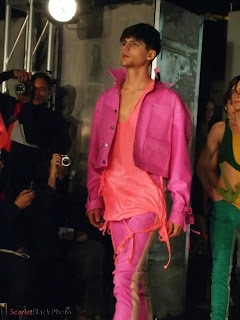 Vancouver Fashion week 2010 was held from November 2nd to 7th which has been 10th Anniversary this year-Congratulations!-including local to international designers. There's a designer from South Korea who I love: Ha : Sang ; Beg(하상백) aka HSB. 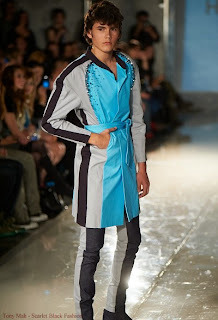 I love vivid color contrast and unique futuristic style from his line. 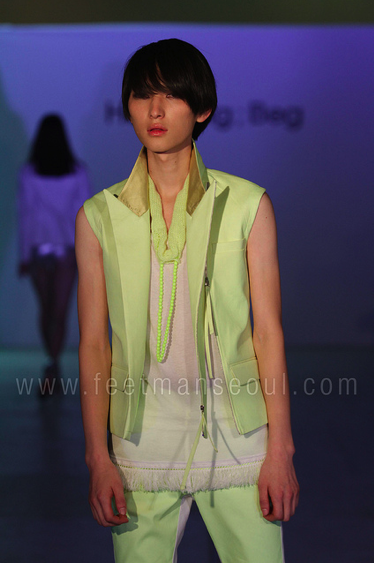 Sangbeg Ha is a well-known designer as being a stylish of Korean idol group, Shinee as well a host of TV show in Mnet. 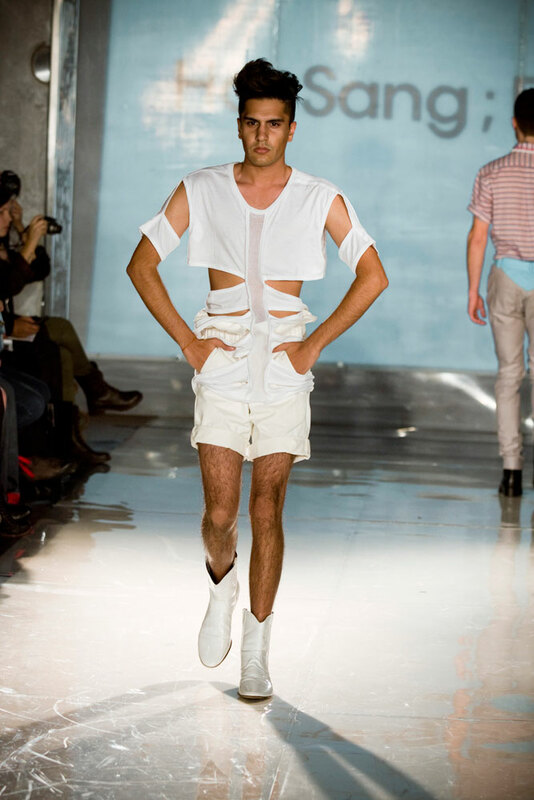 He is a graduate from Central Saint Martins and has launched a store in London. 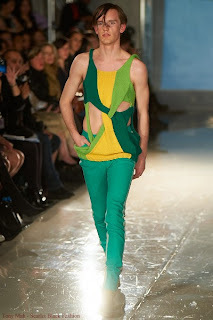 Let's take a look at creative cut-out pieces by Sangbeg Ha for Spring 2011!